Those wry Brits have an adorable ingenious method for retrieving the discus and the javelins thrown at this year’s summer games. 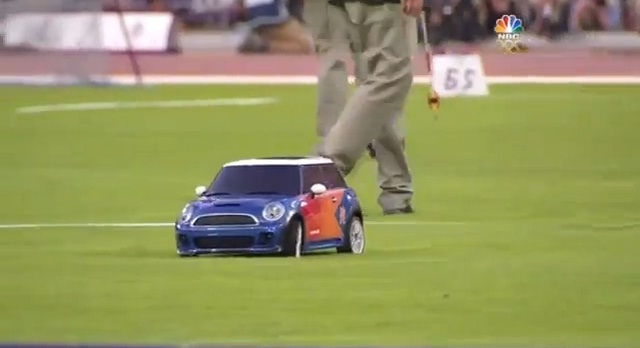 A remote controlled Mini Cooper. The judges drop the hardware in the car’s sunroof and some lucky schmo drives it back to the throwing area. Brilliant! Hit the jump for the cuteness in video form. This entry was posted in Quick Hitter, Sweet videos and tagged Olympic Mini Cooper, Olympics, R/C Mini Cooper discus. Bookmark the permalink. Love it. I only wish they were sporting a more traditional paint job.